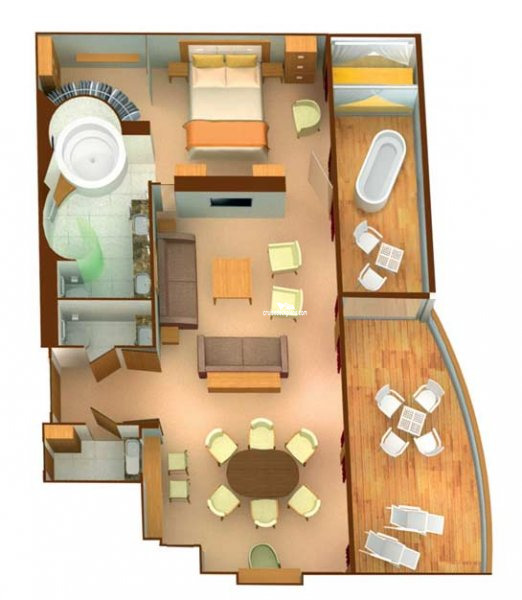 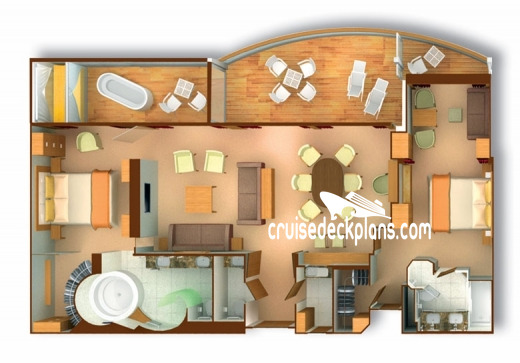 When combined with Verandah Suite, total is 1182 square feet plus 215 square foot balcony. 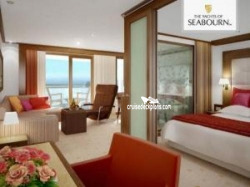 Becomes category GR-WG (Grand Wintergarden Suite) when sold with connecting Verandah Suite. 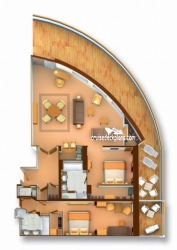 All suites include 24-hour suite service, electronic safe, umbrella, and world atlas. 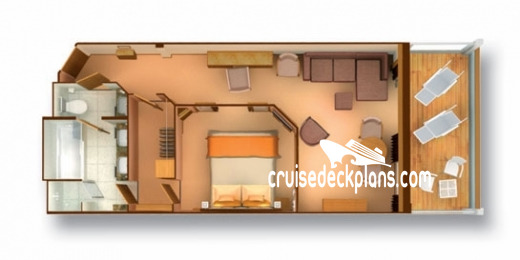 When combined with Verandah Suite, total is 1177 square feet plus 50 square foot balcony. 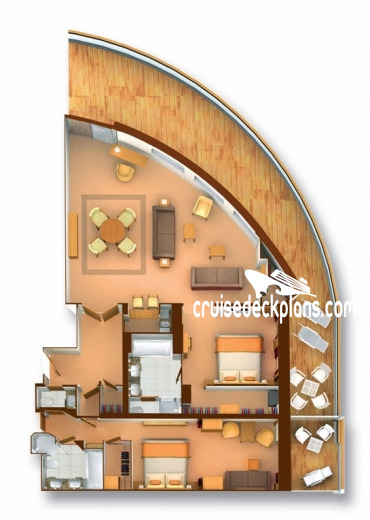 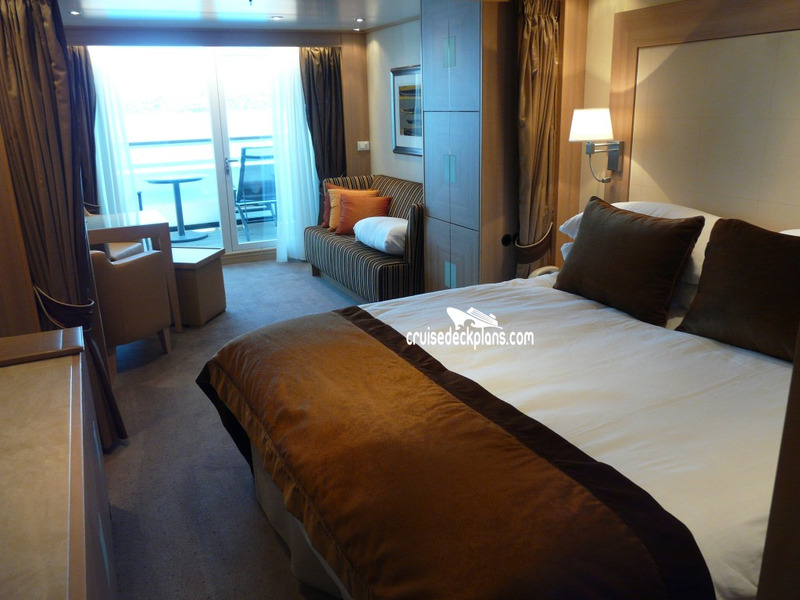 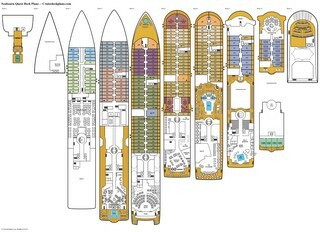 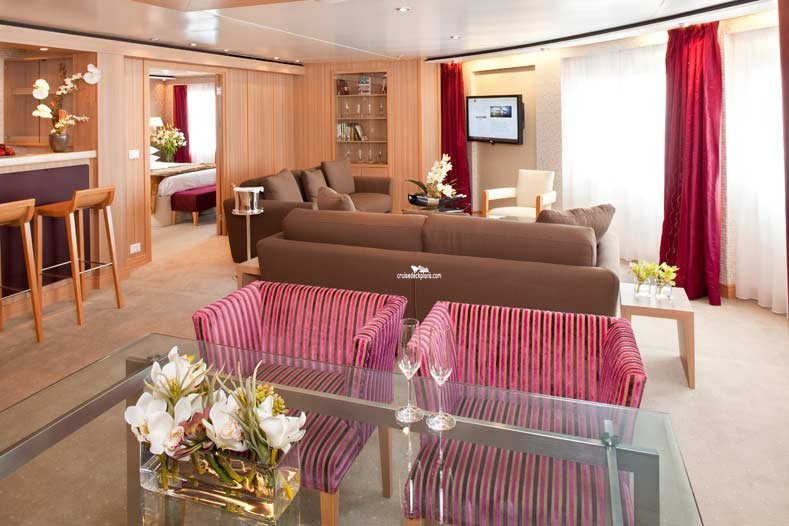 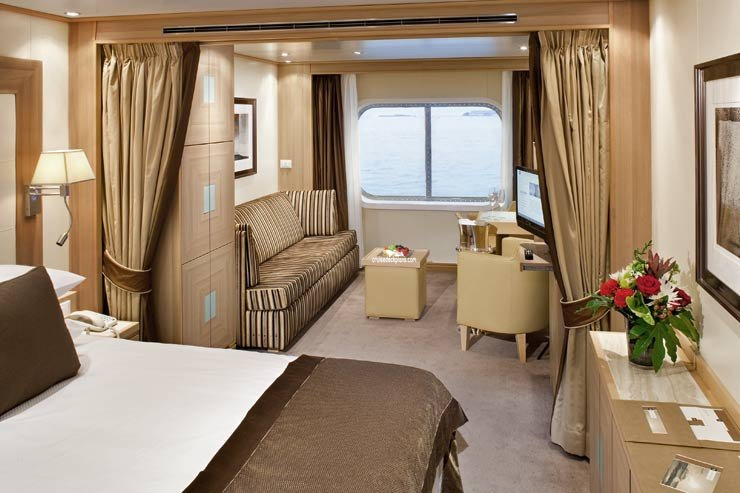 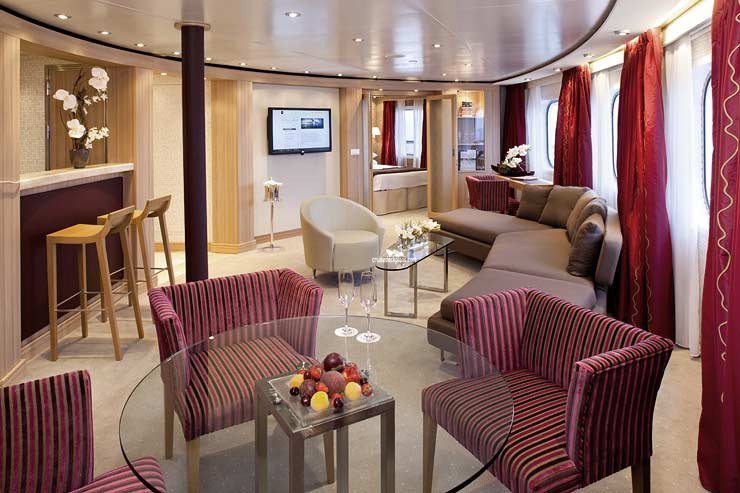 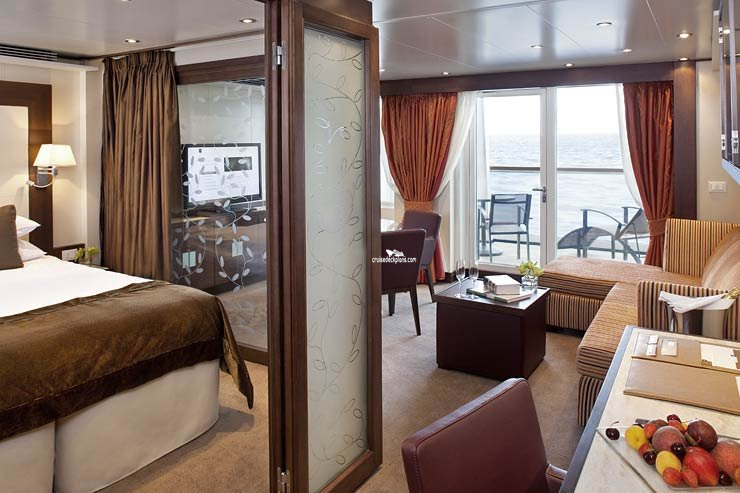 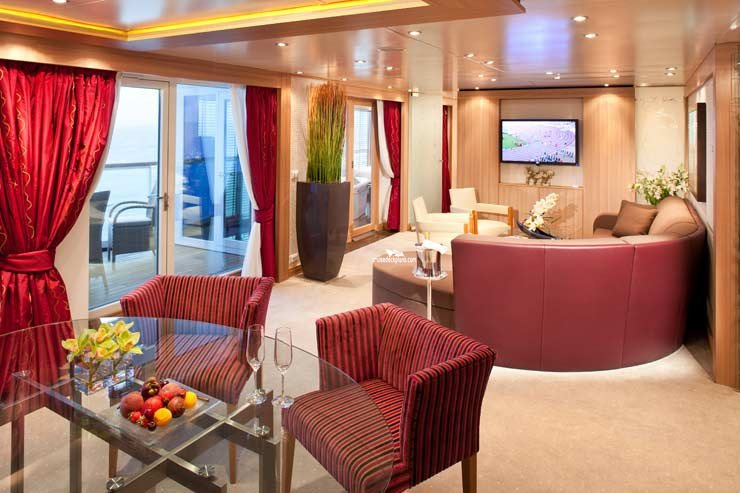 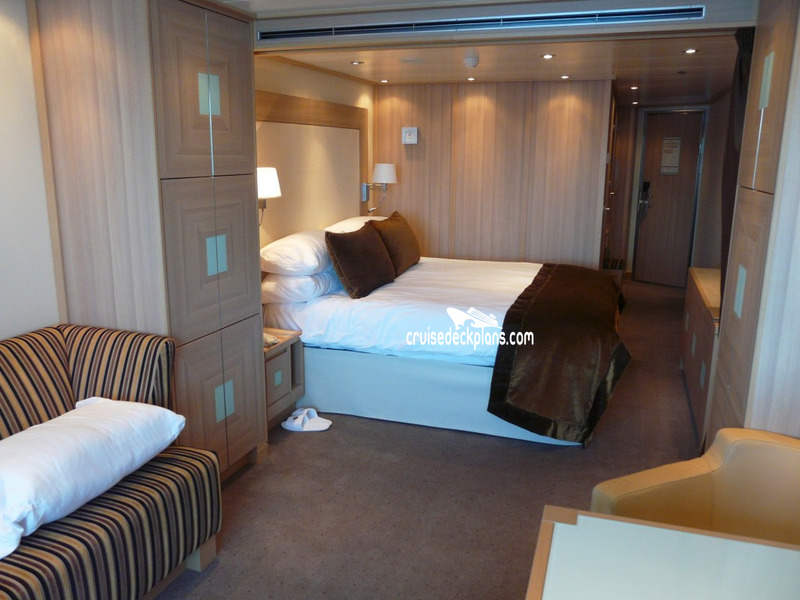 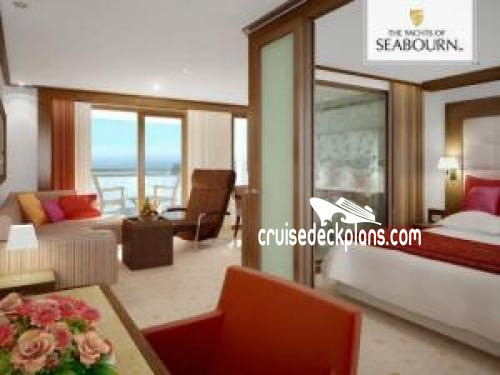 Becomes category GR-SS (Grand Signature Suite) when sold with connecting Verandah Suite. 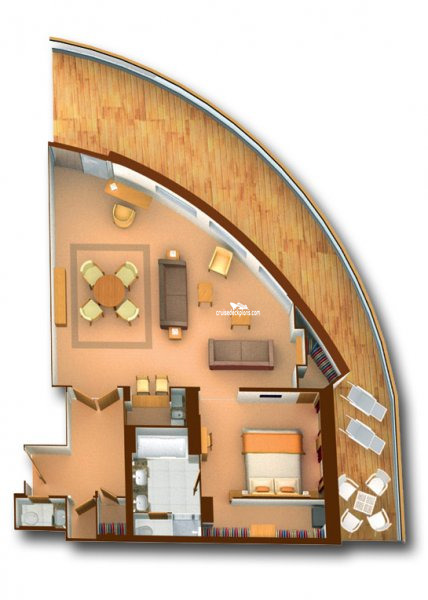 All suites include 24-hour suite service, electronic safe, umbrella, and world atlas. 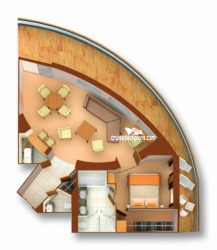 Size ranges from 611 to 675 square feet plus 149 to 387 square foot balcony. 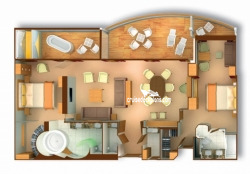 All suites include 24-hour suite service, electronic safe, umbrella, and world atlas.